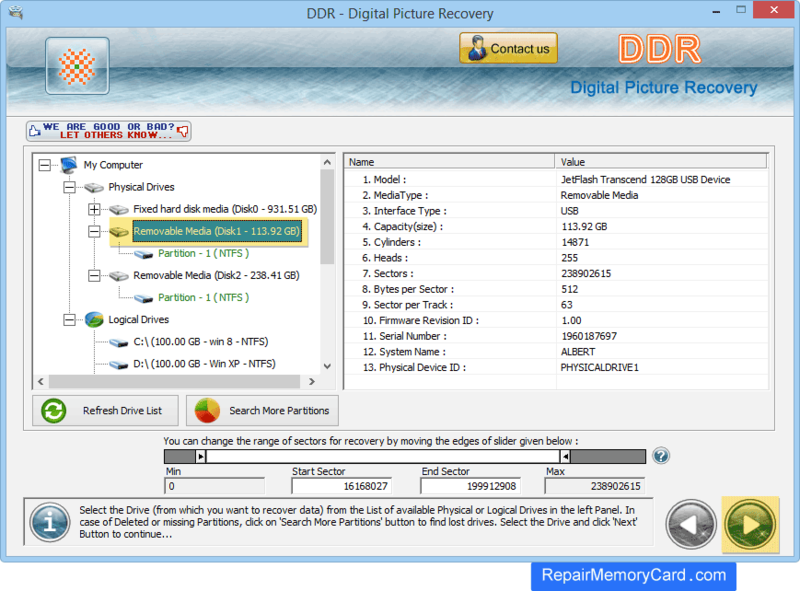 Select removable media from left panel from which you want to restore lost pictures and click next option. Browse path where you want to save recovered pictures and click next option to continue. 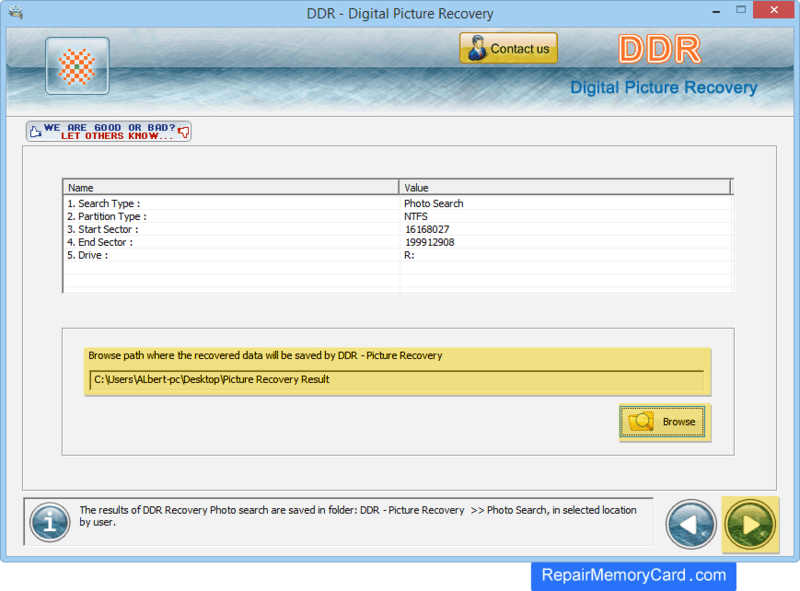 Pictures recovery process is going on. 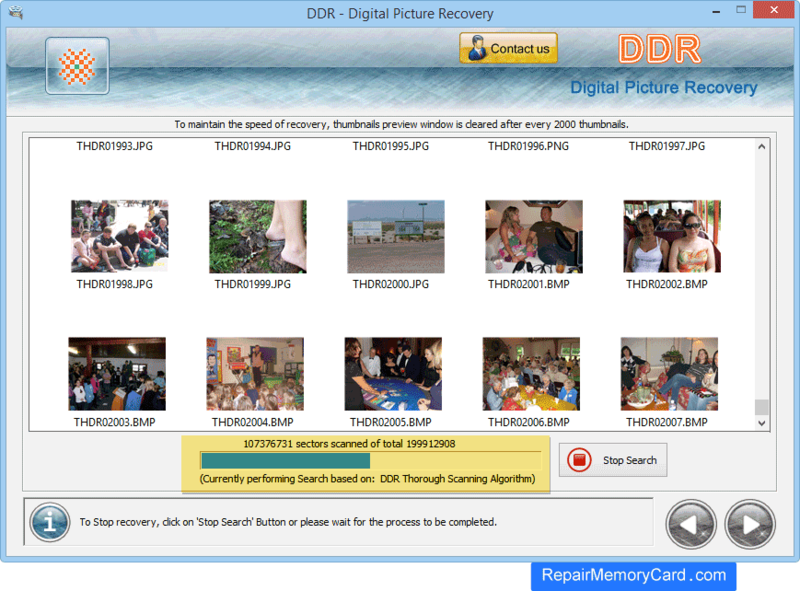 Progress bar shows the current running status of picture recovery process. Recovery process has been completed successfully. 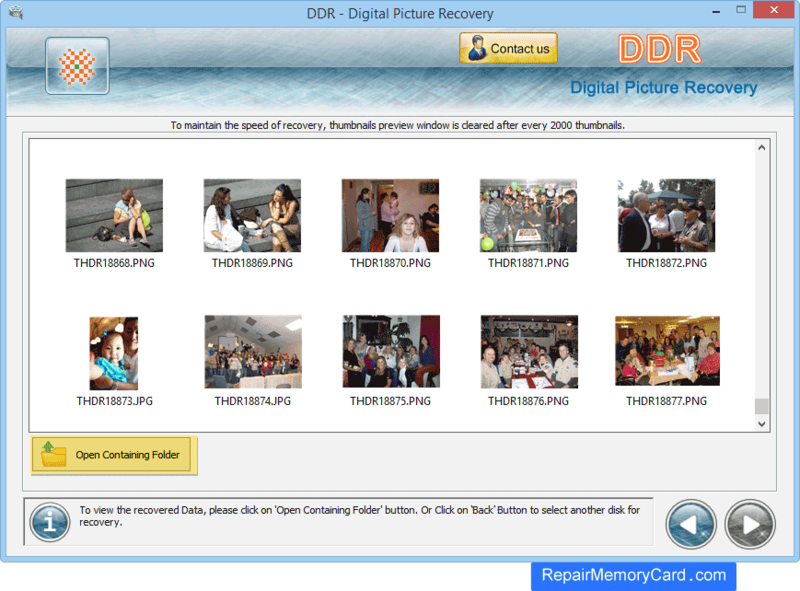 To view recovered images click on 'Open Containing Folder' option.